The Detroit Heritage River Water Trail is one of Michigan’s most dynamic and diverse water trails, traveling past the urban areas of downtown Detroit and the serene areas of the International Wildlife Refuge. The water trail is organized into four distinct paddling segments. The Belle Isle/Detroit segment travels around Historic Belle Isle, providing great views of the island (including the historic Detroit Yacht Club), the Detroit skyline and Canada. This 7-mile trail segment also provides a great opportunity to observe freighters from the water. The Rouge River segment begins in the City of Melvindale and travels about 6 miles down the Rouge River to a takeout at Belanger Park on the Detroit River. The route highlights the automotive history of the area with close up views of the Ford Rouge Complex, unique bascule bridges and some pockets of green. The Huron River segment begins in the City of Flatrock and travels about 10 miles to Lake Erie. This trail segment is quite scenic as it meanders through several small bedroom communities. The Lower Detroit River segment begins in Wyandotte’s Bishop Park (which features and adaptive kayak launch) and travels about 10 miles south to Lake Erie. The trail passes by many downriver features, including the Detroit International Wildlife Refuge. Below is a list of the individual trail routes within the four paddling segments of the trail. The route begins at the Melvindale Boat Launch (behind the Civic Arena) and ends on the Detroit River at Belanger Park in the City of River Rouge. The Belle Isle Paddle traverses around one of the oldest and largest urban parks in the Unites States - keep your eyes out for freighters on the east side of the island! A nice river paddle to the lake. This is best accomplished one way. A loop from the BASF Waterfront Park Launch (Pine Street Put-in) around Grassy Island and back. This is a network of routes around various portions of Grosse Ile. These routes can be reached from a variety of access points either on GI or on the mainland. A short loop from Wyandotte around Hennepin point, to the GI Lighthouse returning by the channel between Hennepin point and Grosse Ile. 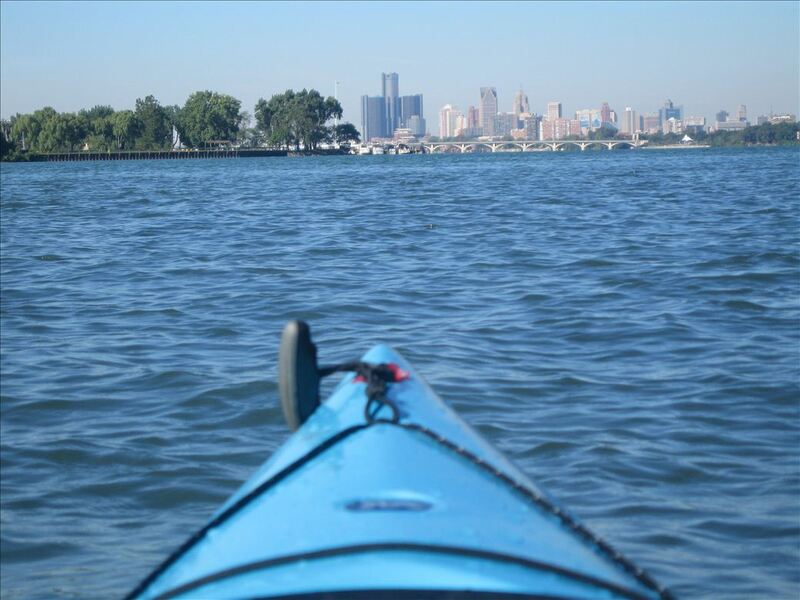 Short and easy paddle through the wooded and marshy area of Lake Erie Metropark. An easy paddle from Swan Creek launch to Lake Erie and back.